The treatment Linnea is receiving is very expensive and we would never had been able to do this for her without all of your help. Any donations you can help us with is wholeheartedly appreciated. Big and small, together many of us can do this. 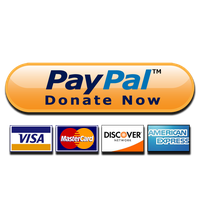 Below is the button for making a donation to our fundraiser. We understand that not everyone has the ability to make large donations, and sometimes it is easier to make many small donations instead every month. For your convenience you'll find buttons below for a 6 months Paypal-subscription so you don't have to keep it in mind. Anyting you can help us with by donating will be ever so much appreciated, and it is through the power of many helping us that we will succeed with this. More than 11.000 people in Sweden and world-wide has already decided they want to be part in helping us.